Helping You Raise your organic marketing results from the dead! A comprehensive SEO action plan is easier than you think and it will revive your organic strategy. TechZombie encourages you to create an SEO action plan for your organic search efforts and we are here to help you do it. We also encourage you to join the TZ community and help each other. First and foremost you must determine your business and website goals. You must define why the website exists and what purpose it serves. The second step for a successful SEO action plan is to create ambition yet realistic objectives that can be accurately measured for progress. 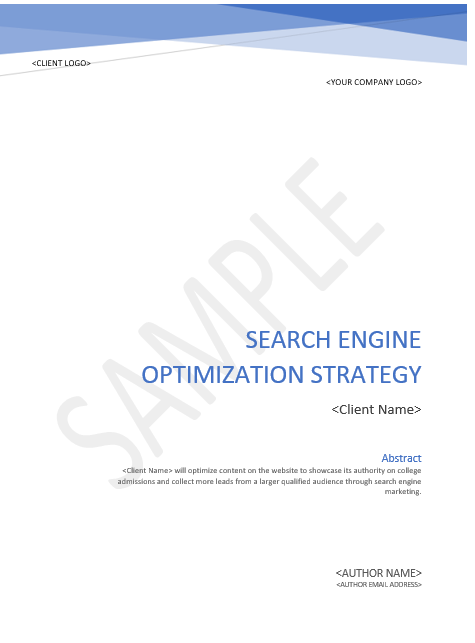 The third and final step in creating an SEO action plan is to develop actionable strategies, methods and tactics based on website goals and objectives. We have provided you with an outline of a sample action plan in Word Format that you can edit, update and use as your own. WHAT IS AN SEO ACTION PLAN? An actionable plan for business success via organic website traffic. A plan of action will include overall business goals, website objectives and success KPI’s. It will outline the planned strategies and tactics required to ensure website and business success.